This publication should be cited as: Young, J., Hauck, V., Engel, P. 2013. 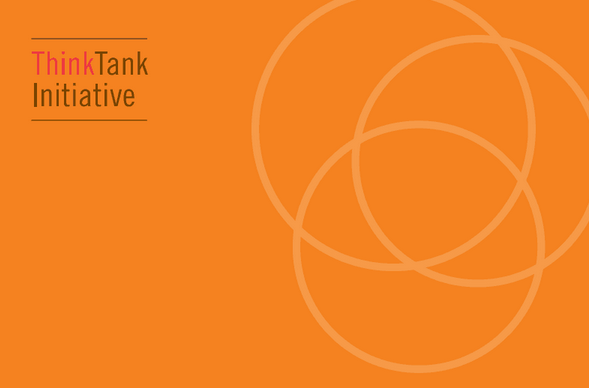 Final report of the external evaluation of the Think Tank Initiative. London, Maastricht: ODI, ECDPM. The evaluation drew on project documentation, stories of change, the TTI monitoring and evaluation database, and interviews and workshops with grantees and other stakeholders in eight countries in Latin America, East and West Africa and South Asia. The findings showed the TTI theory of change to be robust and well-rooted in scientific and practical knowledge about the role of think tanks, and found substantial evidence of impact at the level of individual think tanks and some evidence of impact at country level. The evaluators recommend greater emphasis on the TTI itself operating like a think tank, by making proactive use of its emerging learning and developing a proactive engagement strategy to develop links with other supporters of international policy research. Many of the recommendations have already been embedded within Phase 2 of the Programme. RAPID works to understand the relationship between research, policy and practice and to promote evidence-informed policy-making. Find out more about RAPID. ECDPM assists with the implementation of international cooperation policies, organises policy dialogues, provides tailor-made analysis and advice and has a strong track record in evaluating policy impact.